Obama broke the mould. Bolivia’s Evo Morales broke the mould. And a teenager in New Zealand is breaking the mould to eventually stand in history with these leaders. 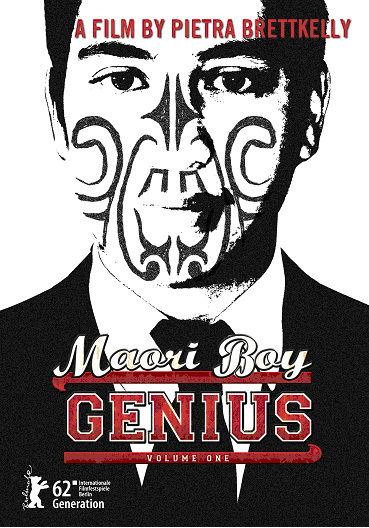 MAORI BOY GENIUS is a coming-of-age film profiling future leader Ngaa Rauuira, railing against his people’s statistics of uneducated youth, 40% of prisoners, and alarming suicide rates. At 4 he learnt English. At 12 he began his first university degree. At 14 he googled international politics and came up with Yale University. Ngaa’s story reveals a family of eight on a modest income, committing to a US$35,000 Yale bill; a weighty tribal expectation that he will be the voice of his people AND bring success in war dance competitions; laughing and crying with best friends, approaching adulthood and diverging pathways. What if we could turn back the clock and watch the minds forming of those who would create political zeitgeist shifts in the future? MAORI BOY GENIUS does just that. As she was preparing to have her sixth child the mother in our film, Maakarita, tells us a story. Sixteen years previously she was giving birth to her first child, a boy. And there wasn’t just one omen with his birth, but two. Firstly he was born “in the caul” with the amnio covering his face, and when the old ladies went outside to announce his birth there was a double rainbow on the horizon. He was named Ngaa Rauuira Pumanawawhiti, the energy around where lightning strikes. He learned to memorise through the Māori tradition of singing and story telling. His first language is Māori and he learnt English at four years old. At 12 he began his first university degree; at 14 he googled “international politics” and “education” and came up with Yale University. He applied to the Yale summer semester programme at age 15 and was accepted at the age of 16. MAORI BOY GENIUS profiles this future leader as he takes his first steps toward breaking the mould, railing against his people’s horrifying statistics. This is the classic story of poor small town boy makes good, the greatest story ever told, that of rags to riches. Ngaa was born in the small coastal New Zealand town of Otaki. He has lived with his retired grandparents (his grandfather worked on the railways and his grandmother a prison nurse) since the age of eight (customarily the eldest child in a family is given to their grandparents) while Ngaa’s five siblings were bought up by his parents. Ngaa Rauuira’s closest and most spiritually rich relationship is with his grandfather. His grandfather is sad when he admits he has lost the language that was beaten out of those of his generation when they spoke it in the school playgrounds. The culture was being crushed. But in the 1970s people marched on Parliament, insisting the culture and language be protected. Some say Ngaa Rauuira is one of the greatest results of this renaissance, a product of a unique full immersion indigenous education system that aims to assist New Zealand into a bicultural society. But expectations are high of Ngaa Rauuira; he is a young man with the world resting on his shoulders. His family of eight faces his US$35,000 Yale bill; his tribe expects success in kapa haka performance competitions AND in ‘saving’ them; he cannot fail. Because of Ngaa Rauuira’s age he must be chaperoned at Yale University. Although he lives with his grandparents, it is his father Adrian, thunderstruck by the wonderment of his son’s talents, that is his companion. Both leave their family behind, Adrian’s wife Maakarita having just given birth to their sixth child three days before departure, the whole family having sacrificed so much for this boy’s education. As we watch all these influences on Ngaa Rauuira, we see him begin to make his own decisions and take his first political steps. On his return from Yale Ngaa Rauuira takes up a megaphone and leads national protest. He is then asked to stand as a Member of Parliament. The political party have no idea how young he is. Just how inspiring. 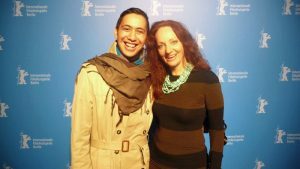 Within the year, MAORI BOY GENIUS reveals the empowerment Ngaa Rauuira got not just from those around him but an international educational institution. This truly is Volume 1, the 7Up of the making of a political leader.